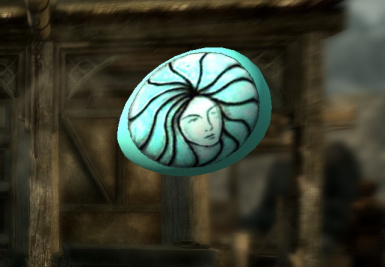 Keep your wits about you and your eyes peeled to collect these rare, unusual, and powerful items from throughout Tamriel. 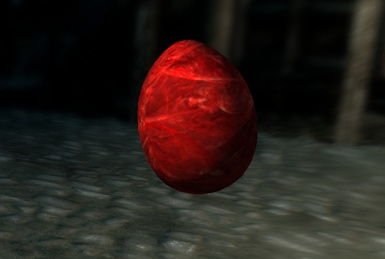 Hidden throughout the land of Skyrim are 230 eggs in 50 unique textures. 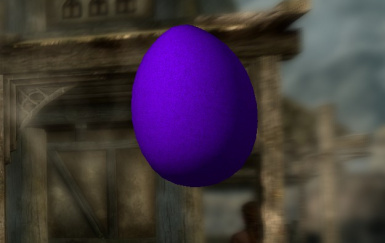 Each egg grants the player a powerful potion effect when consumed, some of which are unique to this mod, like teleportation, night eye, ghostveil, and invincibility. 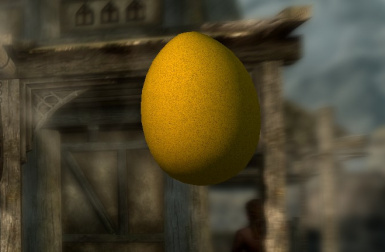 The eggs are also worth 500 gold each so they can be sold to vendors for profit as well or just kept and used as unique decorations for your houses. 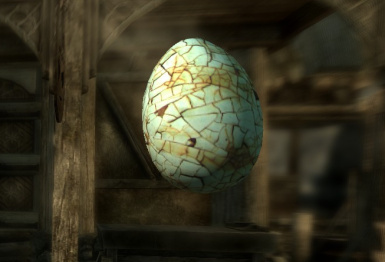 Each egg will also tell you a little bit about itself (where it comes from, how it was made, etc.) when picked up (examples below). Example: "These mysterious Spinel Eggs vibrate gently when held. 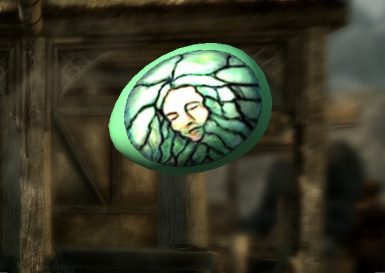 They appear to be early Ayleid prototype memory stones." 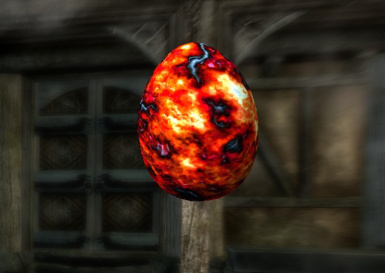 Example: "These Molten Eggs are said to have been forged inside an Oblivion Gate during the Third Era crisis in an attempt to create a weapon to thwart Mehrunes Dagon's plot to conquer all of Nirn and the Mundus." 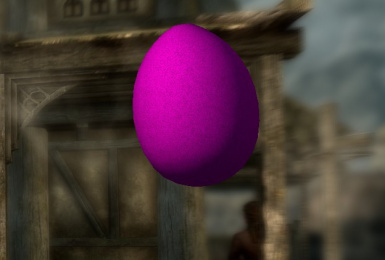 These eggs are truly scattered far and wide but I did keep some guidelines to make things a bit more reasonable. 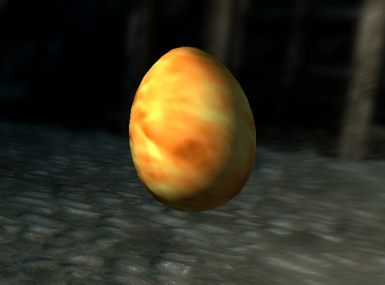 Some of the eggs are out in random wilderness locations but most are near something that would normally be of interest to the player. 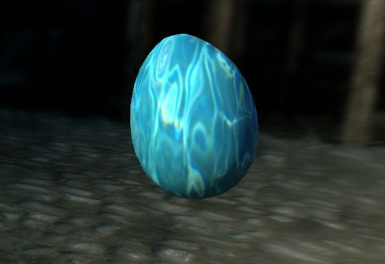 Many of the eggs are also hidden in dungeons, caves, caverns, ruins, hide outs and other hostile interiors. 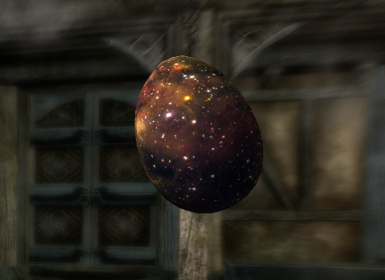 In fact, there are eggs in almost every "hostile interior". 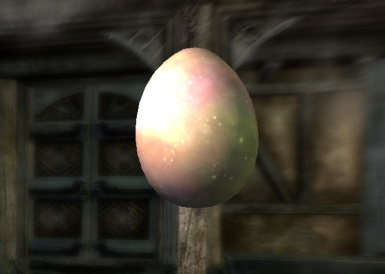 There is usually only one egg per interior location, but there may be more than one on occasion just to keep you guessing. None of the eggs are in towns or cities and only a few can be found in other friendly locations. 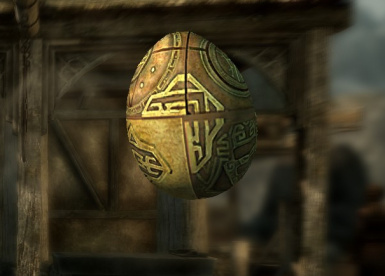 None of the eggs are hidden in containers like barrels, or chests, but some are in open containers, like baskets, and crates. 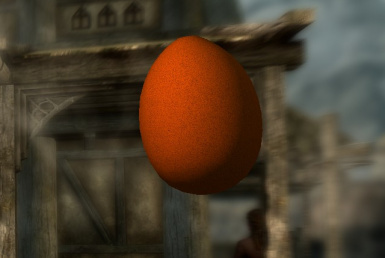 Some of the eggs are up high and some are down low. 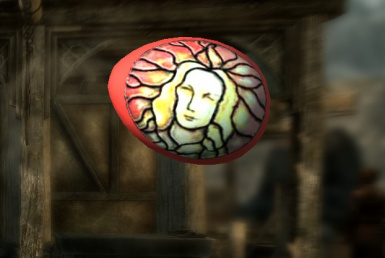 Some will be in plain sight and some are very well hidden. 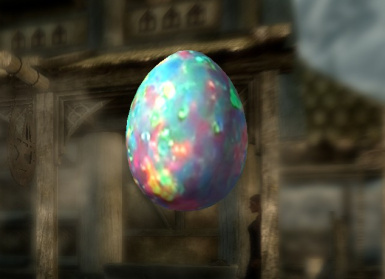 Some eggs are more rare than others. 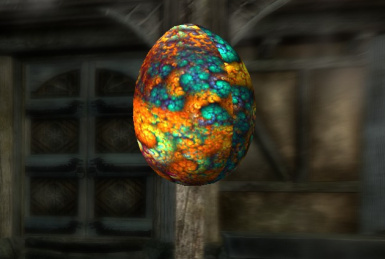 There is only one Golden Egg, two Black Eggs, three of each of the Nine Divine Eggs, and five of each of the other 39 egg types. 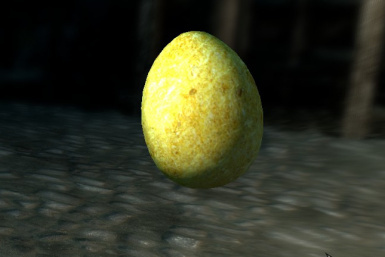 The Golden Egg is a unique egg: There is only one in the entire land of Skyrim. 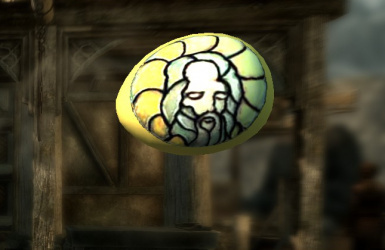 Crafted by the Divines themselves, it will grant you the power of a god for a short time. 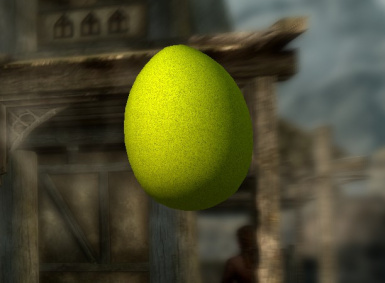 Challenge yourself to find all 230 eggs or just enjoy the chance of finding something unique along the way as a reward for staying observant and traveling off the beaten path. 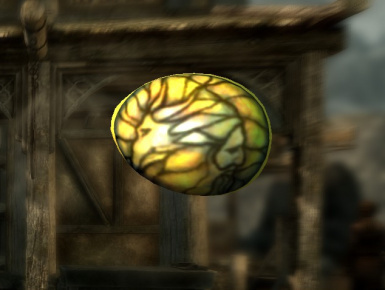 The eggs have many uses, from extra gold, to powerful potion effects, or even beautiful decorations for your home. 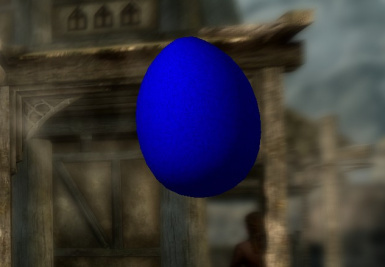 However you decide to play with it, I hope you will have more fun in Skyrim because of this mod. Good luck! 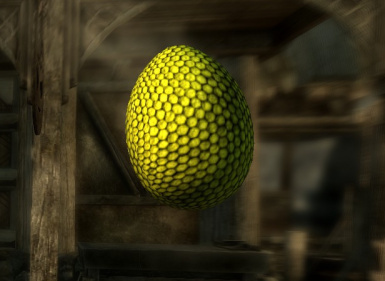 The lore information that will pop up when an egg is acquired was mostly written by players who frequent various lore forums, especially the official Bethesda forums. 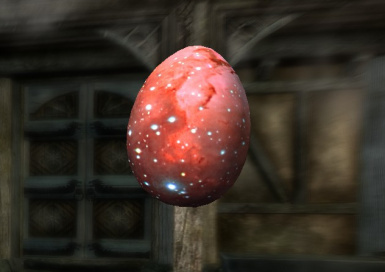 I also got a lot of help with these from Chevenga, who wrote all of the lore attached to the Nine Divine eggs. A great big *Thank you! * to everyone that participated in this project. Open the console (by default, press the tilde key "~"). 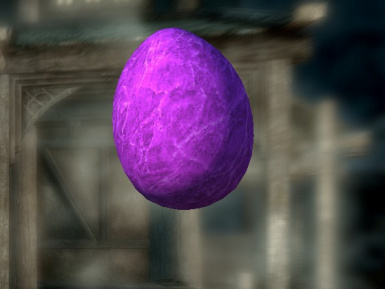 Type the following text, and then press Enter: "help goldenegg"
You will only see one item ID pop up for the Golden Egg Chest. Type the following text, and then press Enter: "player.placeatme (Item ID)"
Close the console (press the console key again"~"). 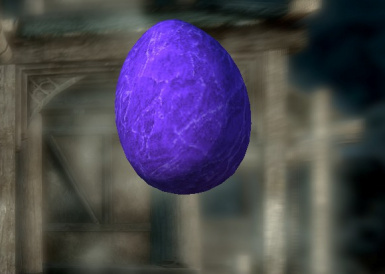 Open the chest and take out the eggs you lost, and then close the chest. Re-open the console (press the console key again"~"). Type: "disable", and then press Enter." 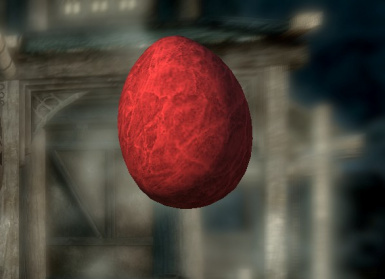 Beforethe February 15th up all updates were bug fixes. 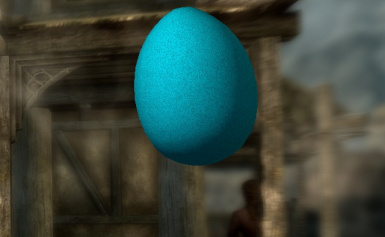 With the February 15th update comes a small addition to the mod and several (hopefully the last) bug fixes. The new addition is a book called "The Lore of Lost Eggs". 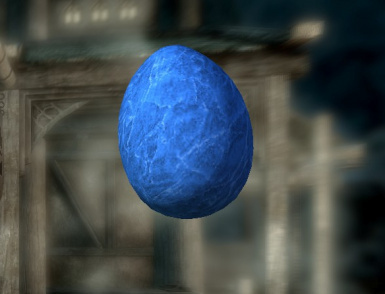 It can be found near the location of the Golden Egg. 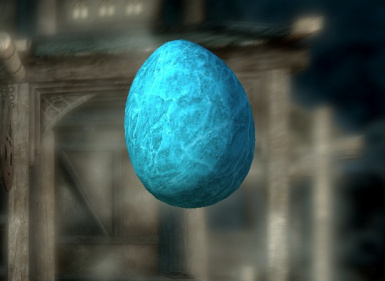 It contains all of the lore snippets from the 50 different egg types and is written in a lore-friendly way. Just download and install using the Nexus Mod Manager like normal. 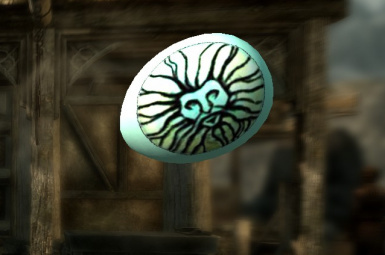 Extract the .7zip folder, and then place the .esp file into your "Data" folder in your Skyrim directory. 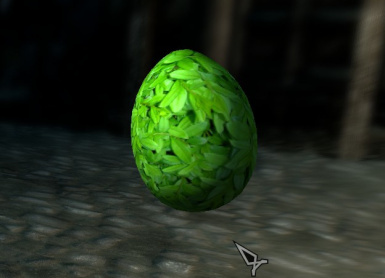 Be sure the meshes and textures are placed in their proper locations as well (Data/meshes/plants and Data/textures/plants). Same for the scripts and source files (Data/Scripts and Data/Scripts/Source). Please report any stuck eggs or other bugs to the author. 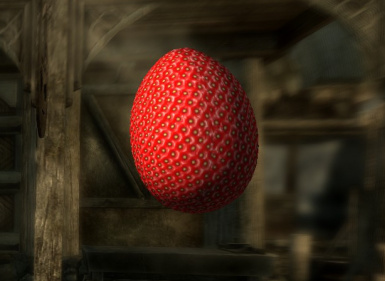 Note: If you come across an egg that you cannot pick up, try using the tcl console command. Also, please take a screenshot and send it to me privately. 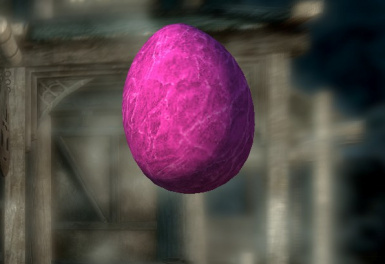 I will move any stuck eggs to a new location near it's current location and post a revision. 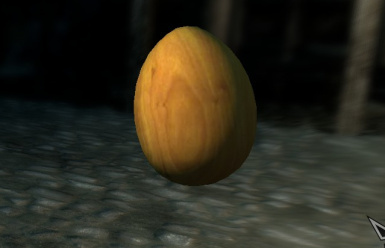 For some odd reason, eggs are not always in the same location they appear to be in the CK which can cause some eggs to become stuck even though AI interactions cannot affect them. 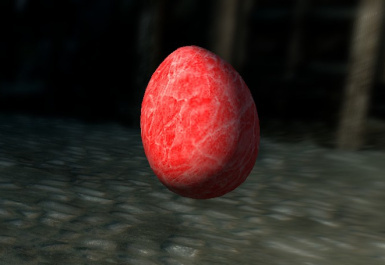 Version 1.1 - Fixed several stuck eggs. 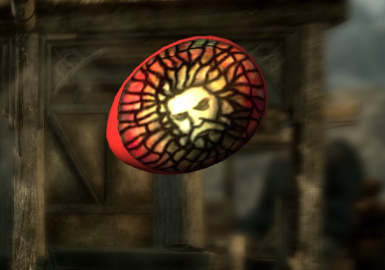 Cleaned out dirty edits that could have been affecting some dungeon triggers. 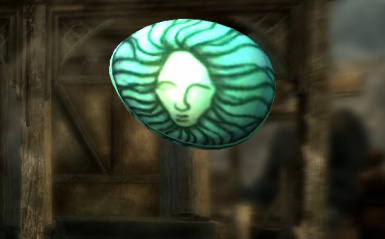 Edited all lore strings with the help of Chevenga for grammar, punctuation, and consistency. 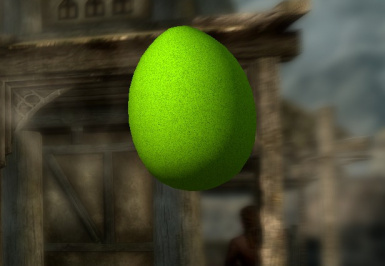 Version 1.2 - Fixed more stuck eggs. 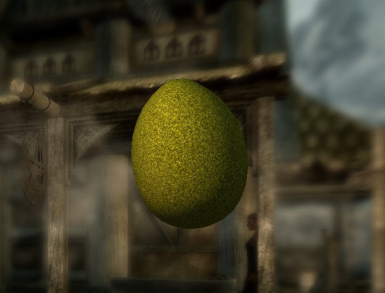 Updated to work with newest version of Skyrim. 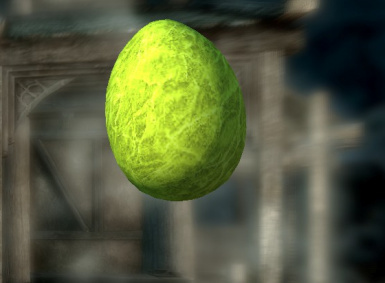 Added "The Lore Of Lost Eggs" book near the Golden Egg location. 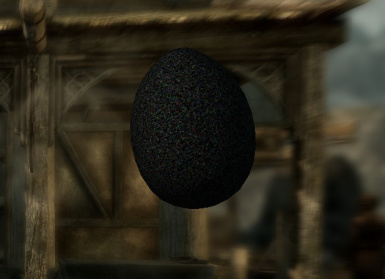 Version 1.2.1 - Fixed inaccessible egg in Wolfskull Cave. 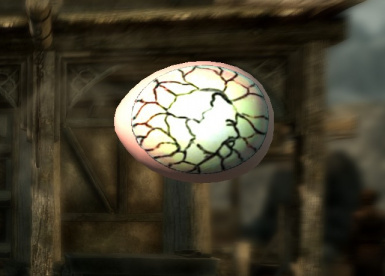 Version 1.2.2 - Re-fixed the eeeevil Wolfskull Cave Egg...again. Fixed the texture issue with Opal Egg.